There is a saying in Mexico that all roads lead to Mexico City. 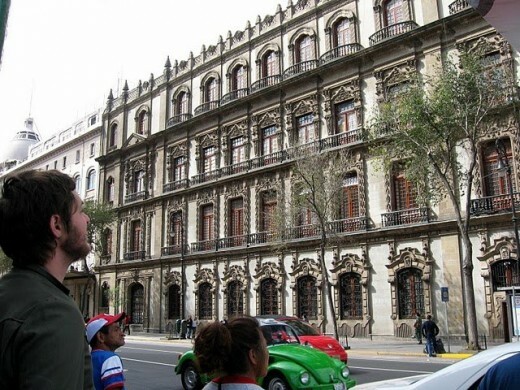 The Distrito Federal , as it is commonly known, is the center and heart of the country. It is perhaps the defining city for the people of Mexico. Mexico City is the fifth largest city in the world with a population of about nine million people. It is the seat of government for the Union of Mexico. Mexico City was officially founded in 1325 by the Mexica people. This is probably where the name 'Mexico' came from. These people were primarily the Aztecs, a native American tribe that allegedly migrated south from the plains "Indians". Today, the magnificent city is a financial center for North America and a cultural mecca for patrons of the arts, anthropology and social studies. It is the largest city in the Western hemisphere. Where is Mexico City on a map? 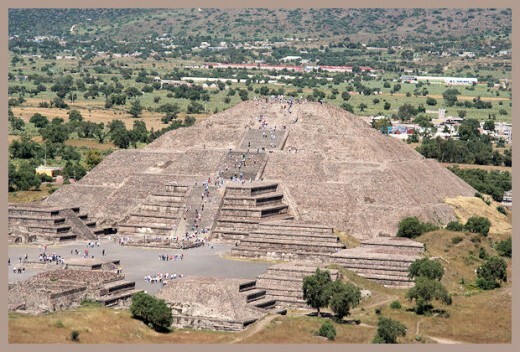 TenotchtÍtlan is the earliest known development near the modern day location of Mexico City. Little is known of the original builders of TenotchtÍtlan. The original pyramids are thought to have been built by the Toltecs who had left the city in ruins. The arriving Aztecs in 1324 A.C.E. declared the island city theirs after seeing a sign from their Gods. The sign was an Eagle clutching a snake while perched on a cactus. This emblem continues to decorate the Mexican flag of today. The Aztecs built the wondrous city that the Spaniards saw when they first arrived. Between 1324 and 1519, the Aztecs and TenotchtÍtlan grew to one of the largest cities in the world. It was twice the size of London or Rome. TenotchtÍtlan supported a population of 200,000 to 300,000 mexica. The Aztecs have a rich and varied history. They are known for their warriors and leaders. The Aztecs also have a history of poetry, drama, beautiful art and incredible construction skills. The whole city was built by shoring up the marshy land that surrounded the city. They built canals and bridges that struck the Spaniards with awe. Especially noted was how clean the city was. All refuse was removed from the city daily and recycling was standard practice for the people. 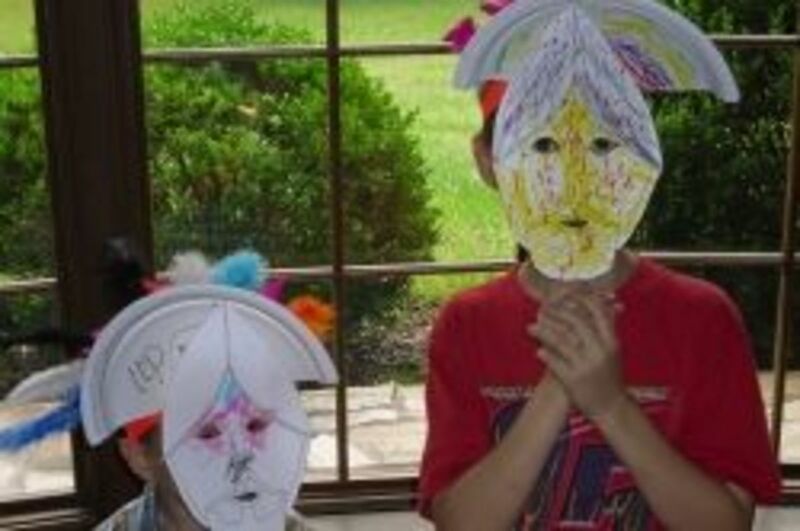 The Aztec were master ecologists. 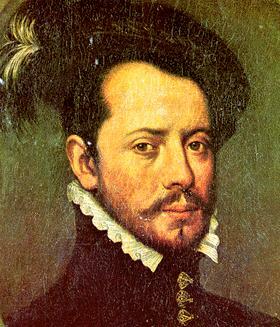 In 1519 Hernán Cortes saw TenochtÍtlan for the first time. He was amazed by the city. It was larger than any city he had ever seen and more modern and clean than any city of his past. As the Aztecs tell the story, November 8, 1519 is the day the great city began its dying. Cortes had convinced many native tribes to join him in the quest for the leader of the empire. They told Cortes that he was part of a prophecy to reclaim the country and be its God. He was returning just as Quetzalcóatl had predicted. Cortes marched into the center of the city, crossing one of the great causeways and went straight to the center pyramid where Montezuma, the Aztec King, came out to greet him. He presented Cortes with gifts and invited him to stay as his guest. 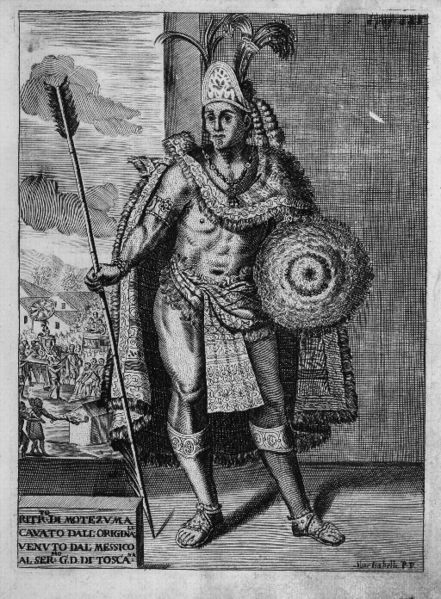 Cortes turned the tables on Montezuma by tricking him into believing he was the God returning as foretold in ancient prophecy. Cortes went so far as to force Montezuma to do his bidding. Eventually, the Aztecs figured out that Cortes was just a man sent to conquer them and they took to arms to force the Spaniards to leave TenochtÍtlan. As the Spaniards tell the story, it was "La Noche Triste" - The Night of Sadness, June 30, 1520. 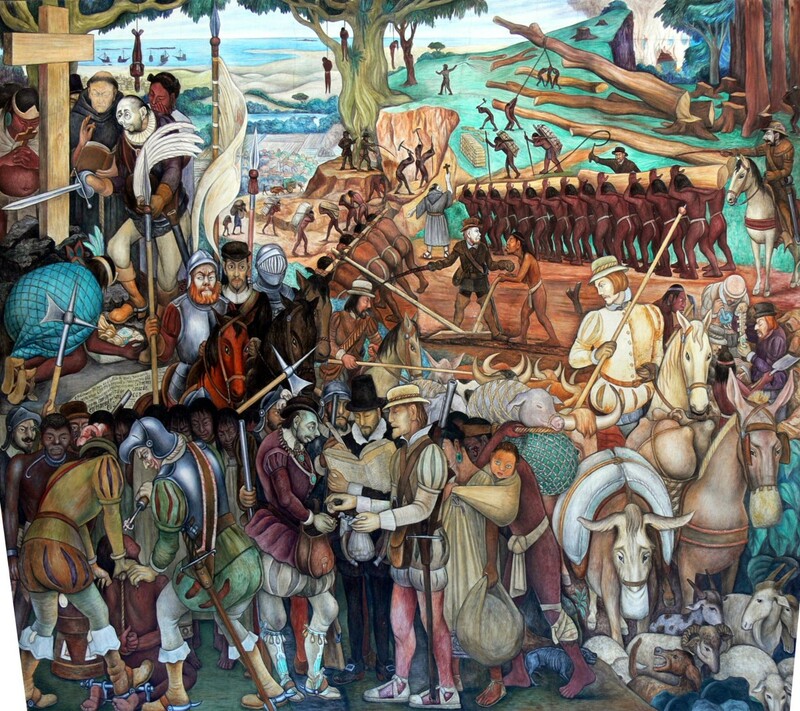 Cortes and his men had introduced Smallpox which decimated the native population of Central Mexico. After regrouping his men and the native followers that were left on his side, Cortes returned to TenochtÍtlan and retook the city. The Spaniards looted and razed the city, renaming it "Mexico" just because it was easier to pronounce. They tried and put to death many of the old leaders and wealthier, important Aztecs. They built Catholic churches over the ruins of the old temples. Cortes did not claim the throne of the new world for himself, but he did establish a residence for the King of Spain who sent a representative to govern the new city-state. 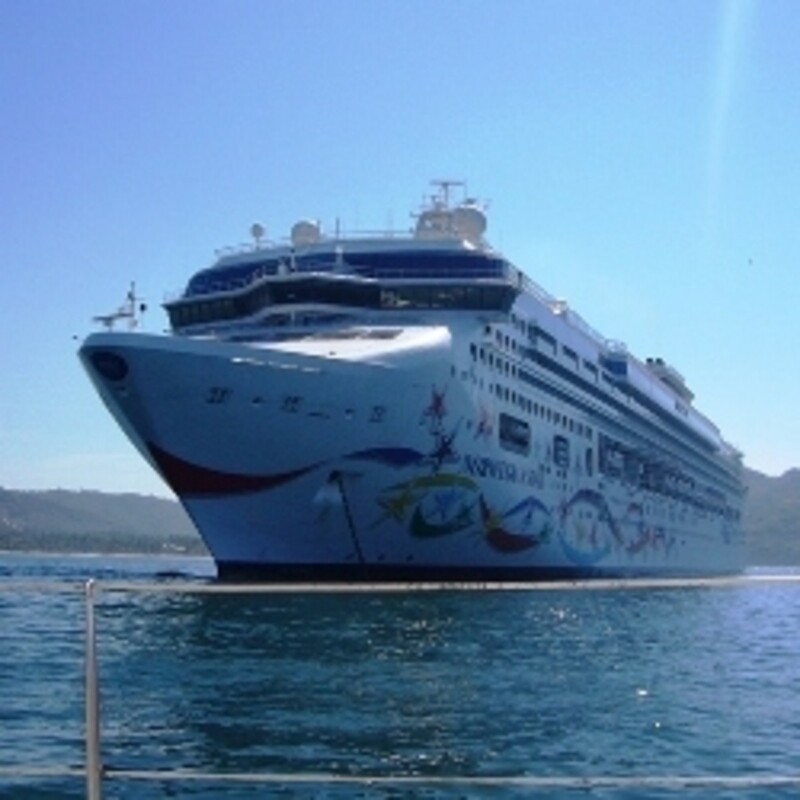 Mexico City had relatively easy access to the Gulf of Mexico and the Atlantic Ocean. It was also not terribly difficult to get to the Pacific side of Mexico. Trade began to flourish and many people immigrated to Mexico City. The weather was like a perpetual Springtime. Due to its location near Lake Texcoco, Mexico City was also beautiful. The mountains around Mexico produced silver, copper and tin mines. There was room for ranching and architecture alike. The Old City was rebuilt as an outstanding Colonial settlement that produced gentrified, titled land owners and traders. Titles of nobility were awarded to the "right" families. Its nickname was the "City of Palaces". The Aztecs became a race of slaves. On September 16, 1810, Mexican citizens had had enough of Spanish rule. The "grito" or shout for independence came from central Mexico in the state of Guanajuato. 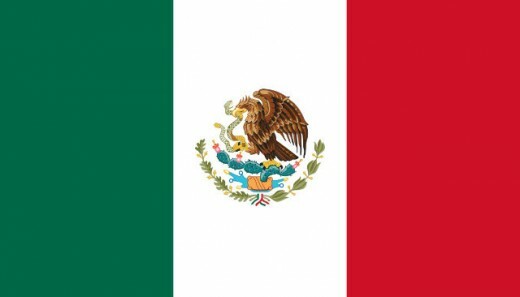 The former slaves and people of Mexico revolted and conquered the City of Mexico and established the Federal District to run the new country of Mexico. On September 27, 1821, after ten years of fighting, Mexico gained its independence from Spain. During this time other countries also fought over the right to rule Mexico, including France and the United States which briefly did occupy Veracruz and Mexico City during the Mexican-American War. The Mexican Constitution was based in a large part on the U.S. Constitution. Mexico City continued to grow and grow. The City was rich while the rest of the country was steeped in poverty, but the Federal District was the center of trade and finance. The 1800's saw a couple of major skirmishes between the people of Mexico and the Federal District all vying for control of the country. The Reform War produced a renaissance movement for the City resulting in a better infrastructure. New roads, schools, transportation services and a postal service for communication were constructed. The Mexican Revolution was a military coup commanded by General Huerta to take control from President Madero. By the early 1900s, Mexico City had grown to 500,000 and was probably the most modern city once again in the Western Hemisphere. The 1950s saw the addition of the first modern skyscraper. The 1960s to the 1980s brought a doubled population and by the time 1980 rolled around there were greater than eight million people living in and around Mexico City. In 1968 Mexico City hosted the Olympic Games and many sporting facilities were built. 1969 brought the Metro system to the city once built upon a marshy lake bed. On September 19, 1985 Mexico City was struck by an 8.1 magnitude earthquake which nearly destroyed the entire infrastructure and local governing organizations. The government was so corrupt and disorganized that the people of the city were pretty much on their own. Mexico City and the Federal District have been modernized and free elections are now held at periodic intervals similar to the United States. Mexico has a 'Statute of Government' and an Assembly of Representatives. The elected official over Mexico City is the Mayor, and the President of Mexico is a separate individual. As of 2012, the President of Mexico is Felipe Calderón. The President is also considered Commander in Chief of the Mexican Armed Forces. Mexico City is the Art and Cultural center of the country with many fine museums for art, archeology, anthropology and cultural studies. 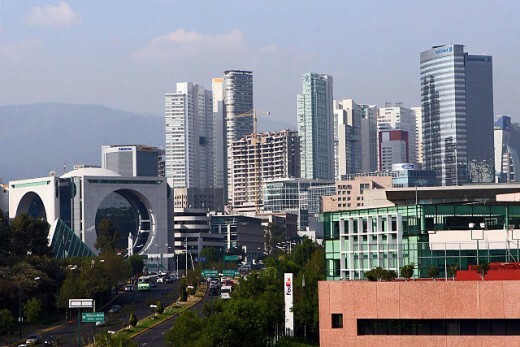 Modern Mexico City is the tourist center of Mexico and has a large bustling international airport. Comments - Have you visited Mexico City? Do you think you might go there someday? Gracias, Angel. It is an awesome city! I was 200 miles west of Mexico City last week. Would love to visit one day! Great article Lela. Thanks for your recommendations Austinstar. Sorry, I meant that I was writing a hub about it but certainly a possible future project! Kalmiya, if you are going to write about the historical legend of Aztlan, may I recommend the books written by Gary Jennings, if you have not already read them. He wrote a series of novels about the early Aztecs in his book, "Aztec". It's a wonderful read and Jennings followed up with that by writing two or three more books about Mexico's early history. I look forward to reading your book, so let me know when it's published. What a great hub! You go through the early history and bring us into modern day with detail but not overwhelming. I've been to Mexico City 3 times and once stayed about 5 weeks. It's the most amazing city in the world! On the downside, the pollution is so bad it's near impossible to stay long. I found the police force who walk around with long rifles (well, in some sections of Zona Rosa anyway) somewhat terrifying and the stories of foreign politicos being accosted in their hotel lobbies a little off-putting but my experiences there have all been wonderful. I'm writing a hub on the historical legend of Aztlan, the mythical place where the Aztecs came from. Thanks for your photos and reminders of a great city! I wonder if they would hire me? You should be employed by the Mexican tourist board. It does seem to be a pretty amazing place though. Mexico City is exciting to visit, Lela, and I especially enjoy the fine restaurants. And the Flea Market in the heart of the city which may be the world's largest as well as most exciting. Your fact-filled hub makes me want to return. Hi Kel! It was fun writing this hub. I've only been to Mexico City two or three times and then only to the airport or bus terminal. It's very impressive. I really would like to make it to Tenochtitlan some day. 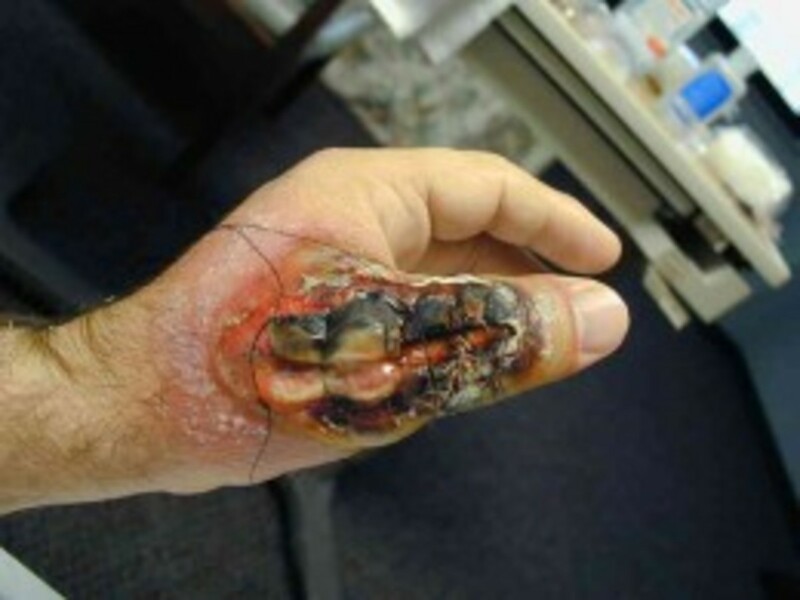 There is a bit of it still left. I would have LOVED to see it before the Spaniards did. The last time I was there - they were having some huge governmental meeting with heads of everything! I stayed right next door to The Hilton and all kinds od presidents and officials from all over the world were staying there. Helicopters were landing on the lawn, military and policio were everywhere with guns drawn and pointed...it was kind of scary! I don't know what it is about Mexico - I just LOVE everything about it!